My project of a diversity festival brochure or pamphlet is meant to show that the strongest point I have learned from this course is the importance of sharing knowledge. The topics we have covered embarrassingly were met time and time again with students, including myself, lifting our shoulders in complete or partial ignorance of these events and their victims’ stories. My brochure relates to the embodiment of my main takeaway, which is, that knowledge is what we can share, and it’s what we stand to lose if we don’t try. This pamphlet of a theoretical event is what I wish everyone could have, a chance to learn things that this class can’t cover in its limitations of time, and relevancy in the system of learning it molds to fit. The criteria of learning aside from those that specialize in these topics, are not often shared aside from the Jewish Holocaust in World War II. I understand that American schools may not prioritize other nations issues, wars and politics within its borders, but that should not be an excuse for the creation of a norm of this kind of ignorance among America’s youth and university students. The unfortunate limitations of my brochure did not include a date, or location. With the rise of anti-Semitism, racism, gender related fears and a consensus of fear among the financial future, I did not think it would be right to believe in this event happening in the near future. I would love for ODU to be strong enough and confident enough to make this come true. However, knowing how tense a topic religion, gender/sexuality and race can be, I do not have the confidence in my school, at this time, that it would be able to fund and protect this project. For this event to take place it would require venue planning with security as one of highest levels of importance; for this reason alone, I know this event would not be safest met at the university where students reside and a large population of Norfolk residents work nearby. I would suggest a venue of a public library, especially Slover Library in Downtown Norfolk, although a large venue with many open doorways and passages, I am confident that security would be able to block off many pathways for a more controlled security of the location, but can also open all exits in case of an emergency. The Library would represent furthermore the knowledge I want to share in the form of the different panels with speakers from all topics to share their stories that are not yet old enough to be romanticized. For the panels I want leaders or those studying to be leaders in their faiths to talk about them. I want figures from Islam to teach me and the audience the basic terms for what a Muslim calls their equivalents of a priest or rabbi or preacher, or nun. I admit I am ignorant in a lot of areas, including religious title terminology, sexual identification terminology and disabilities terminology. But I do not have to sit in ignorance, and neither do the potential audience of such an event. For this reason, I would also want speakers, whether they are published authors, or just someone that can speak their story or experience with their specific topic, I want this to be an event to share stories, heritage, obstacles and daily discriminations. How can the population of students be aware of cruelties going on in their country if no one shares? I included a past topic that ODU has come to terms with and is now atoning for some of what they did. The Lambert’s point mapping project is one started by the university to find and label the history of a neighborhood they once and still do, encroach on. I want ODU to be honest about their past, especially since 2030, which is ODU’s 100thbirthday will be coming up. ODU needs to set an example as a school that once predominantly white, and took from the poorer neighborhoods, and ruined the dynamics of an entire community with their selfish plans. If a school can’t talk about their past, and try to amend it, I would not want this event to happen with this school as a sponsor. I understand ODU can’t possible afford this type of event on its own, so further sponsoring would need to be done. The NAACP, The Institute for Religious Tolerance, Peace and Justice (IRTPJ), the National Women’s Studies Association, and I could spent the rest of this paper listing organizations, but I won’t. But I will say the hand that extends can only be met with air or a helping hand. This event would be a chance to reach out to a plethora of organizations that would jump at the opportunity to share a speaker, and share knowledge for the opportunity of a student or just one person to know about their organization and their work. This would be an opportunity for them to get to do the part of their job they love the most, helping the people they created their organizations for. They created an entire operational association or organization to be a resource, not as a tax right off. I included at the bottom of the pamphlet the three most popular social media logos, to show that this event will have commentators and posts. This event could not exist in this century without technology, and so I’ve included it for the purpose of spreading the knowledge as far as it can possibly go. For study abroad students that may miss the event, filming (whether professional or on a cell phone) will help that student hear and learn, and potentially share with their family or friends even further away. This event can be a reality, only if the money, security and care are given. Normally money is not included with caring, but in this world money needs to be spent on the man hours that would provide such a venue, and security. I want this to also be an opportunity to support the local businesses in any way possible. Foods from multiple culturally diverse restaurants in Norfolk could be provided for the use of sharing the cuisine of some of the cultures discussed in the festival. Yorgo’s Bageldashery a local kosher certified shop that makes their own bagels, soups, wraps and sandwiches complete with vegan options would be a great addition as well as Mr. Shawarma which has Mediterranean food, again with vegan and kosher friendly ( I’ve often seen groups of Hasidic Jews crowd tables for their falafels). Pashe Mezza, which has traditional Turkish foods and a place on the peninsula called Saffron, offers Mediterranean food including rose petal tea. I would love to see these and hopefully many more at a festival like this. The tastes of these cultures would be a great way for even the least enthused person to learn about other cultures. It would be a dream come true for this festival to be a reality, but I have to be realistic in the expectations for a university president. I understand his attention being on students and academics at the top, and this would not be an easy undertaking. 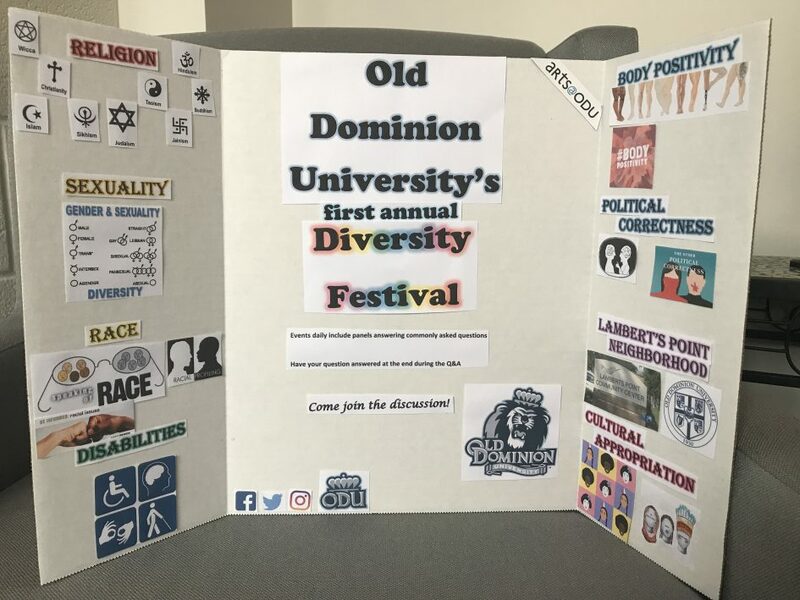 I wish I could use the ODU Literary Festival as a piggyback for this project, but I know that this would be putting a target on ODU’s doorstep. And the last thing I want is for ODU and all their students to become targets for the growing hatred, tension and divide that is currently ongoing in this country. I would be interested in starting this festival, but only if those that were interested in helping knew that this project could take upward of 3 years to plan and secure speakers, venue, and security. Unfortunately, as I have learned from this school so far, departments sometimes do not want to cooperate with each other, and want the credit all for their own. The creation of this event could span across the HGS, Jewish studies, World Languages and Culture, History, Religion, English, Women’s Studies, I really don’t know who all could help plan, but I do know emails will be confused and people won’t have time. But at least, people should have the time to not be ignorant, even if that means taking one week out of their lives, to learn about people they share their world with. 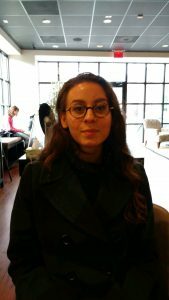 Jackie is currently attending Old Dominion University attaining an English B.A. with a focus in creative writing. 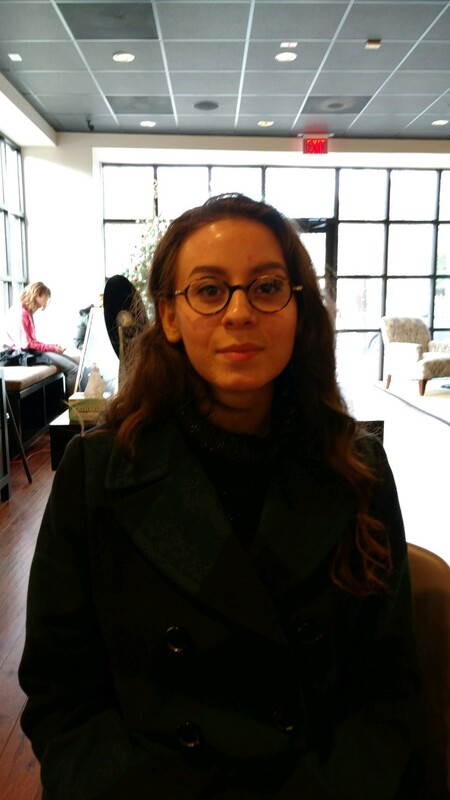 She is interested in topics related to the study of law, ethics, human rights and social norms. This is a fabulous idea! 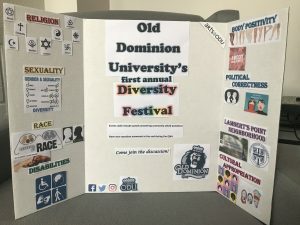 ODU would certainly benefit from a Diversity Festival. Hope it can come to fruition. Thank you! I appreciate all that you and your classmates have taken away from this course.